How to Change Your Login Password on Mac – iMobie Inc.
Login password on Mac is very important, so we need to change it from time to time to protect our privacy from spying by others. 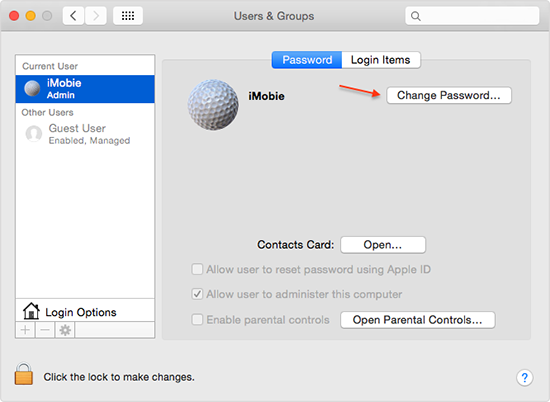 In this guide, we will show how to change your Mac's login password. Go to download this wonderful software to clean your Mac to protect your privacy and free up space after reading this guide about how to add or reset your Mac's login password. When we log in our Mac, it will ask for a password. 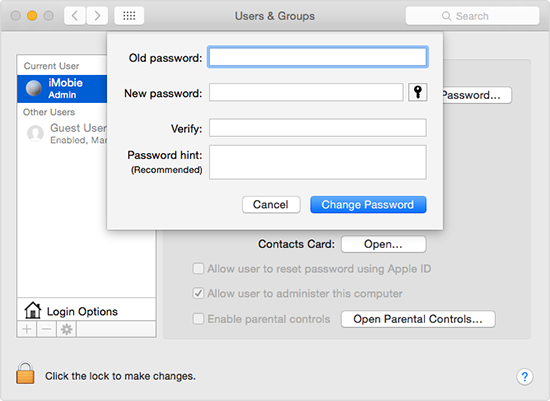 Setting up a login password is a basic way to keep our private data safe on our Mac. Many people are used to set up the login password that is the same as the one they have used for their email account, Apple ID or other services on Mac. Absolutely, we can add or change our log password that is distinct from the password we have used. The question is how to add or change the log password for your Mac? In this guide, we will show you how to make it. Step 1. 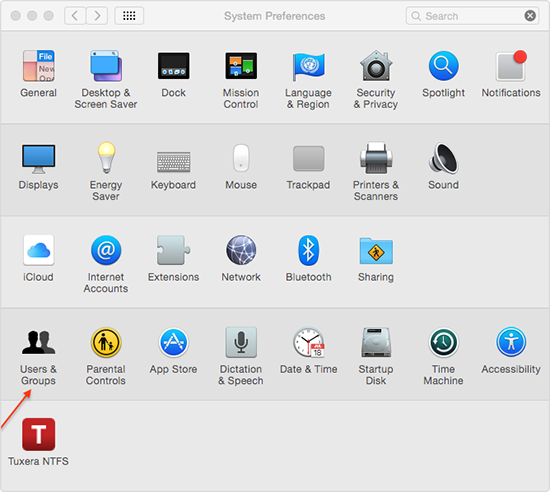 Open "System Preferences" on Mac. Step 2. Click "Users & Groups" option. Step 3. Click the "Change Password" button. Step 4. 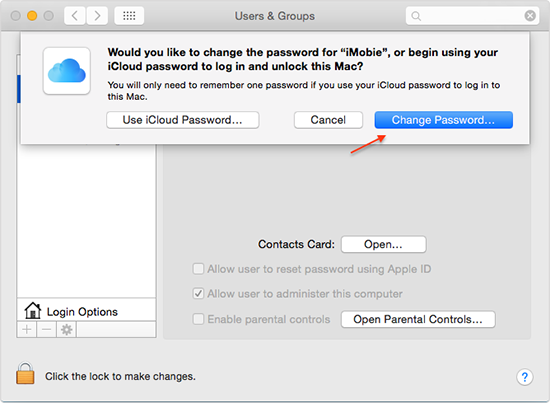 Your Mac may ask you if you want to use your own iCloud password as a login password, you can click on "Use iCloud Password". If you don't like it, you can click "Change Password". Step 5. Fill in your old password, and hit the tab key on your keyboard. Step 6. Fill in your new password. Step 7. Verify the new password by retyping it again. Step 8. If you wish to give yourself a hint, type it in the last field. If you want to clean your Mac to free up space, you can use MacClean to help you to clear out useless data with a few clicks. If you still have any question about this guide, please contact our support team via Email. If you like this guide, don't forget to share it with your friends.